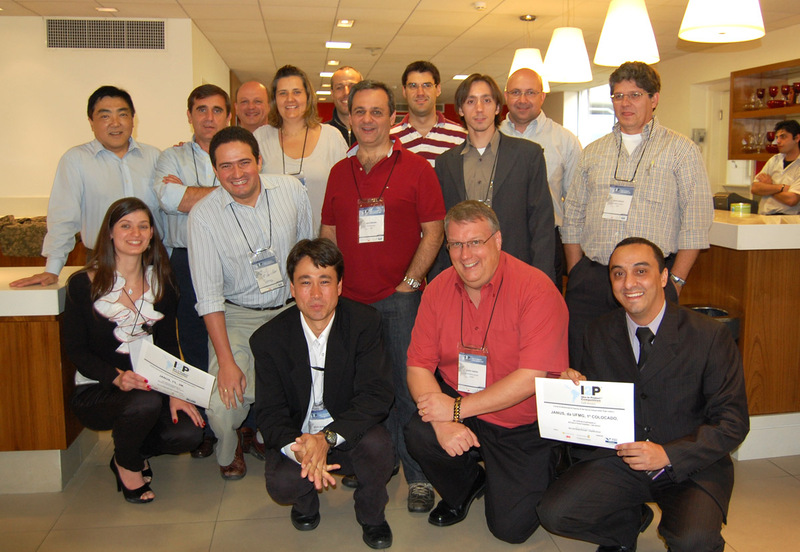 I2P Latin America Winner "Janus", judges, sponsors and organization. 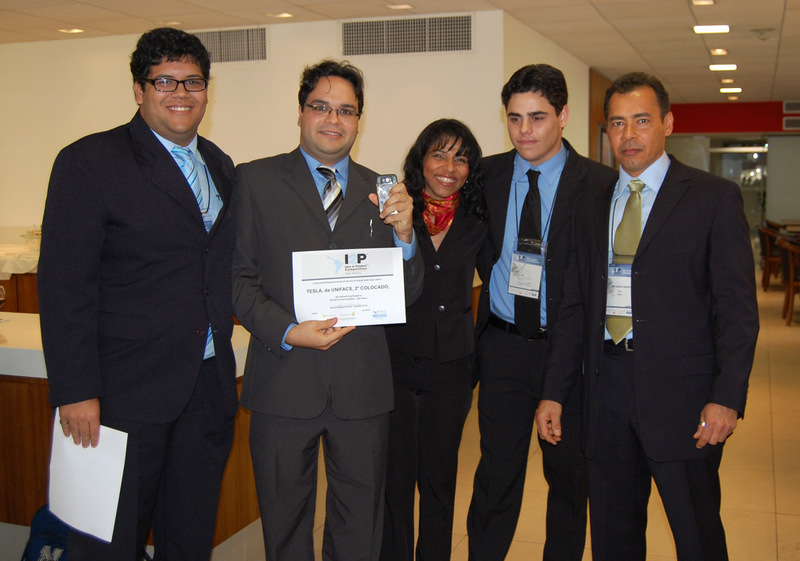 I2P Latin America 1st Runner Up "Tesla". 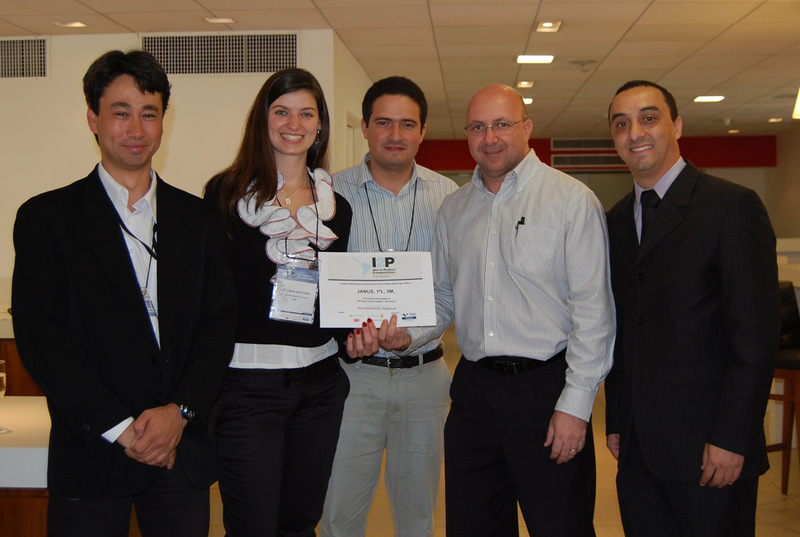 I2P Latin America 2nd Runner Up "Anatomy Fit" and judge Fábio de Souza. BR | Opportunities Challenge Winner "Anatomy Fit" and judge Carlos Miranda. 3M Challenge Winner "Janus" and judge Luiz Langbeck. 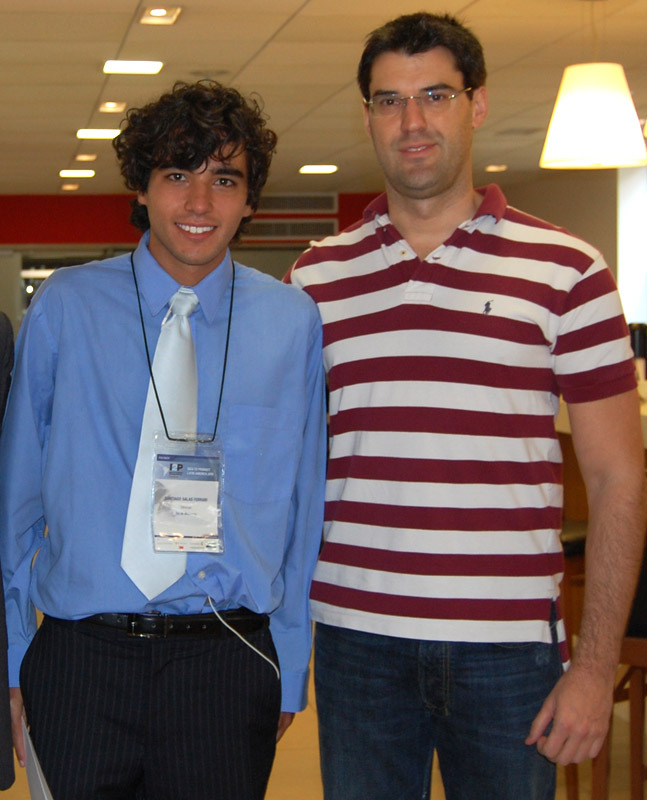 Grupo Boticário Challenge Winner "Tesla" and judge Patrizia Parenti.